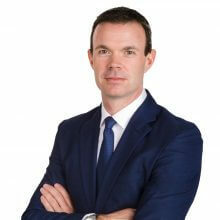 Campbells is pleased to announce that Guy Manning, Head of our Litigation, Insolvency & Restructuring Group, reached the South Pole on 13 January 2019. In doing so he completed the penultimate leg of the Explorers’ Grand Slam, the challenge of climbing the Seven Summits and skiing to both Poles. 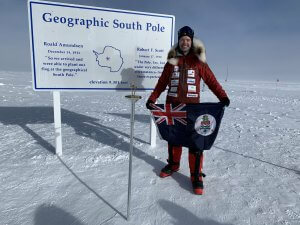 Guy’s South Pole expedition raised over USD$71K for the Cayman Islands Cancer Society. He would like to thank his corporate sponsors and the community for their generosity and support in making this happen. Guy has raised over USD$325K for the Cancer Society through his various expeditions. He is aiming to complete the Explorers’ Grand Slam by skiing to the North Pole in April 2020. You can read more about the challenge at www.explorersgrandslam.ky. Cayman News Service: From Cayman to South Pole.